We are very pleased to announce that Dhound has received two prestigious awards from the popular B2B reviews portal FinancesOnline. Dhound has become a Rising Star 2018, given to products that have recently entered the market but are already becoming very popular. Additionally, Dhound was recognized in the top list of cyber security software tools and won the "Great User Experience 2018" certificate, which is granted to products that offer an especially good user experience. It was evaluated how easy it is to start using the product and how well-designed its interface and features are to facilitate the work process. 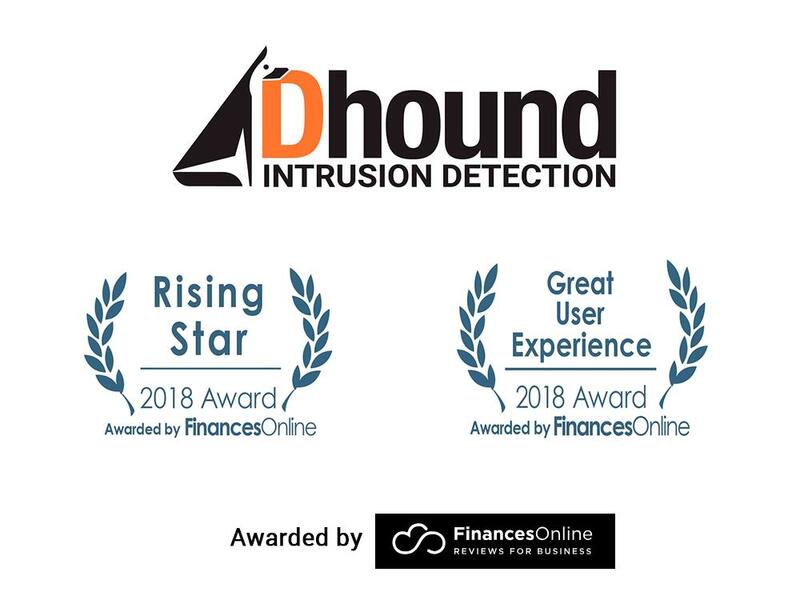 According to SaaS review experts from FinancesOnline, "Dhound is a unique and easy-to-use intrusion detection software for servers and applications". As stated in an IT security guide, business Data Leakage Prevention is essential for companies of any size, and according to a FinancesOnline “Dhound helps prevent such issues by tracking and detecting suspicious access and access attempts. It also monitors outgoing server traffic to find potentially malicious connections and sources for them to be severed." We are very grateful to FinancesOnline’s team for such a high rating and invite all our users to leave their own review of Dhound!